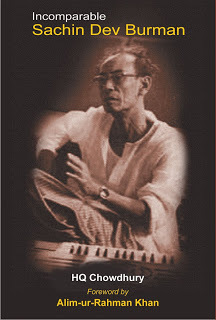 Incomparable SD Burman is actually a 2011 book, though I read it only recently. Though that is not enough justification for doing a book review after four years, I decided to go ahead because it is a real gem. Moreover, few in India know about it. The book, written by HQ Chowdhury, a Bangladesh-based professional and researcher, is published by Toitomboor, a publishing house in Dhaka. After looking for it for months (trying my luck with its only distributor in India, who insisted that someone needed to physically collect the book from their Kolkata office by paying cash), I finally got it from the author himself, who fulfilled his promise made to me on a Facebook conversation some months back to send it to me when he would be in Kolkata next. Being a reader and collector of books on Hindi film music (written in English)—See the list I maintain on the same here—I can say with some confidence that this is one of the best books to be published in the genre. But that is still not the best way to describe the book. There are multiple books in the area that stand out. Gregory Booth’s book on musicians is a first-rate work of ethnomusicology; Raju Bharatan’s books on Naushad and Lata are excellent account of the musical and not-so-musical equations between composers, singers, lyricists and film makers; Akshay Manwani’s book on Sahir is an excellent work of research and is immensely readable; Ashok Ranade’s book on Hindi film music is one of the few critic’s perspectives; Manek Premchand’s book on musical moments is an essential connoisseur’s collection. What should be specifically mentioned about Incomparable SD Burman is that it rises above the genre. The book is what a good narrative non-fiction should be. In other words, it is for anyone who loves reading and has a general interest about the subject. Few pages into the book, you develop a bond with the protagonist—the incomparable S D Burman, in this case—and start living with him. And mind you, there are three books on SD Burman in English and I have read all of them. While the book by Sathya Saran is nowhere near the other two, the book by Khagesh Dev Burman, originally written in Bengali, is clearly for the reader who is well-entrenched in Bengali music; so much so that, if you are not, you cannot appreciate a significant portion of the book. Of course, a basic background of Kolkata’s music scene of those days is essential, if one wants to fully appreciate the genesis of S D Burman’s as a musician. 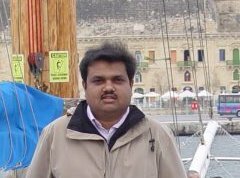 It is not that a great researcher and narrator like Chowdhury is not sensitive to that need. In fact, that is where his book really stands out and as I earlier said, rises above the genre books. Instead of assuming that the reader knows about it, he has taken it on himself to give those lessons, in right doses. That is what makes it so valuable as a book. The reader, while learning about SD Burman’s evolution as a composer-singer, gets more than adequate knowledge about the music scene of Kolkata of the 30s and early 40s. And what a place it was! Not only was Kolkata a musical experimentation hub with such personalities as Tagore, Kazi Nazrul Islam, Dilip Kumar Roy, Himangshu Dutt and musicologists like Dhurjoti Prasad Mukherji, it was also the predecessor of the Bombay film music with such greats as R C Boral, Pankaj Mullick, K L Saigal, K C Dey, Vismadev Chatterjee, and Dada Burman himself establishing the rules of modern cine music, which got imported to Bombay. Though it got enriched there, drawing from various regional streams, it must be mentioned that others responsible for that basic foundations such as Naushad, C Ramachandra and O P Nayyar acquired their musical personality in Bombay while the Bengal musicians were already popular in their homeland and established names, Dada included. That is why it is essential to understand Kolkata’s musical scene of 30s in order to appreciate the evolution of Bombay film music. Chowdhury makes you live through that period. I wish the book was available more widely. It is a recommended read for any serious student of musicology of modern Indian music. Again, unlike Khagesh Dev Burman’s book, Bombay days is not a mechanical, linear description. Some of the best narratives in the book are about S D Burman’s days in Bombay. It does get into popular myths and folklore in adequate doses. For example, the author devotes significant space to dispel the myth that Pancham (junior Burman) mostly scored for Aradhana. It is an important debates in Hindi film musicology because it is not just about one movie; it has significant implications for the Rafi-Kishore debate. Those who think Pancham scored for Aradhana assume that it is he who brought in Kishore Kumar in place of Rafi, who was the earlier choice for Dada Burman. And all of us know what it did to Kishore Kumar’s career! Chowdhury is clearly a huge fan of SD Burman, as he admits unequivocally. But his book does not suffer from the typical problems you have come to expect from such books in India—that is adulatory, meaningless lines filling up pages; both facts and narration becoming victim to the author’s own opinion and so on. Chowdhury’s book is a solid work of research, ably supported by good narration and story telling. Even when he brings in subjective analyses—you cannot avoid that in a book on any art form/artist—it is always in the featurish style of supporting with quotes, incidents and facts—in the true tradition of narrative non-fiction. Rarely will you find a high-nosed opinion which he thrusts weaving through jugglery of words. In fact sincere efforts like this are probably the best tribute to one’s idol. Books like these make one hopeful about the future of non-fiction writing on subjects other than history and politics. But the next moment, the availability issues reminds you of the stark ground reality of distribution.